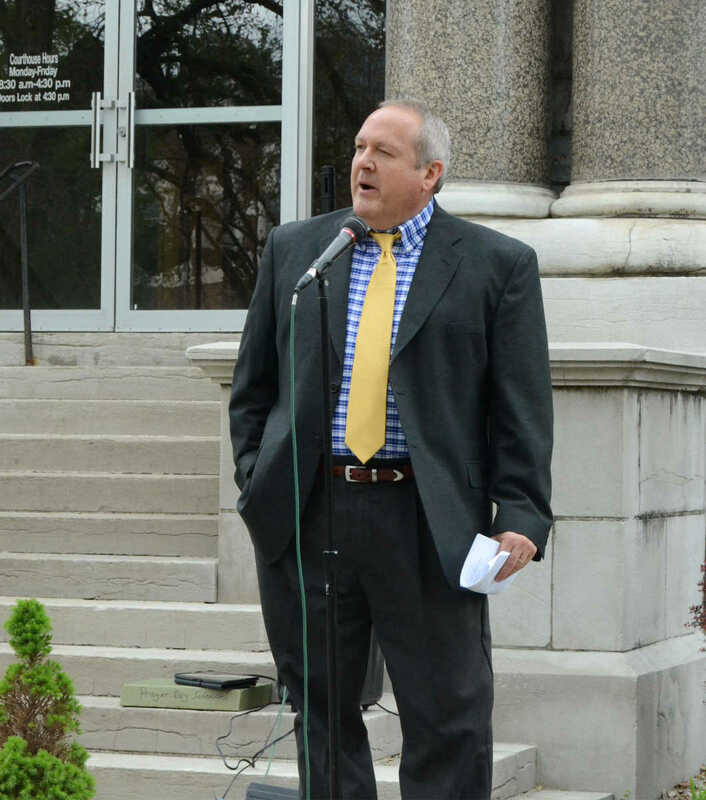 Mark Mitchell, pastor of Deerfield Baptist Church, prays during the National Day of Prayer ceremony at the courthouse. 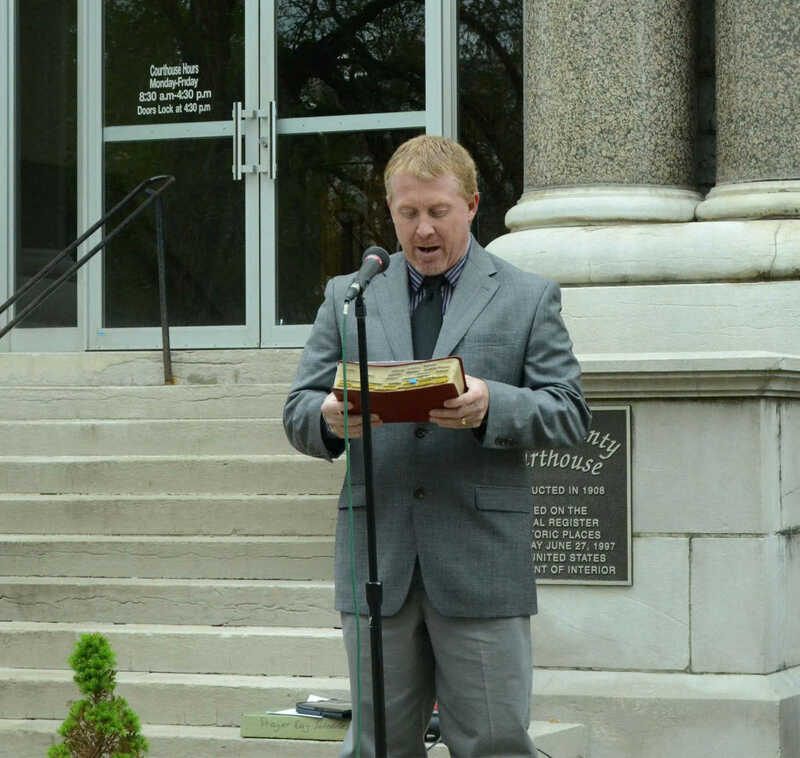 Chad Bailey prays for spiritual awakening during the National Day of Prayer ceremony at the courthouse. 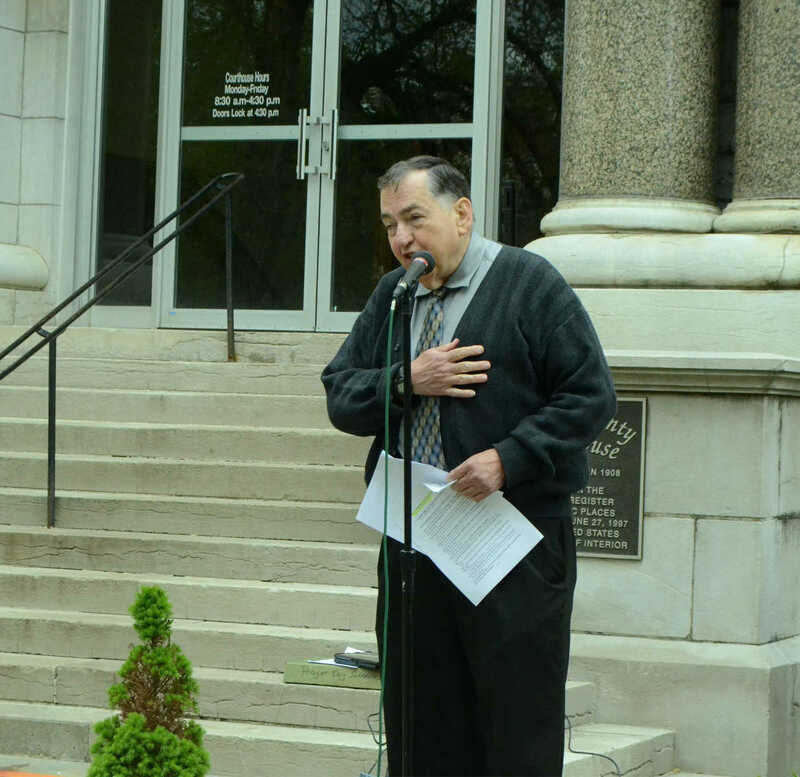 Gary Kurtz prays to restore America to its biblical roots during the National Day of Prayer ceremony at the courthouse. 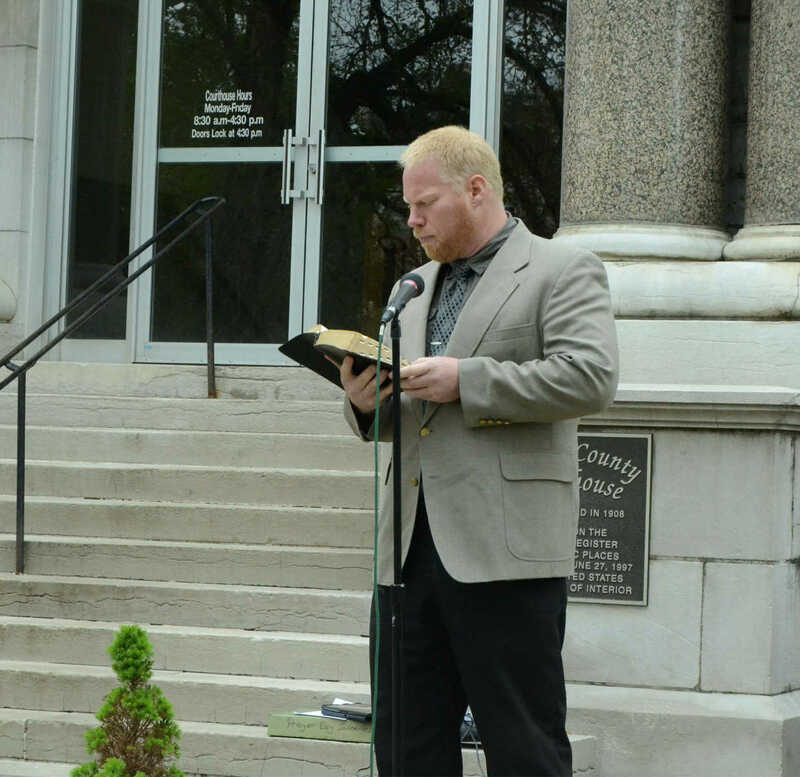 Nathan Clark, Heartland Hospital chaplain, reads during the National Day of Prayer ceremony at the courthouse. 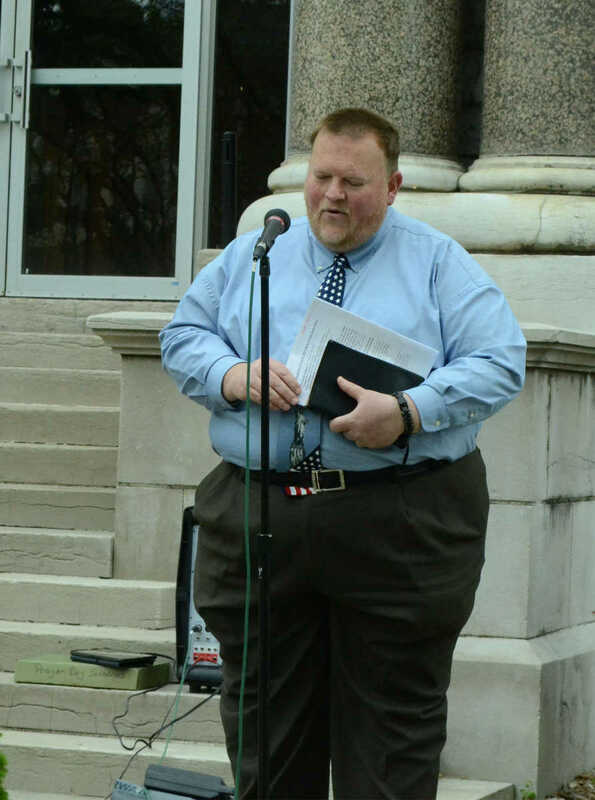 Mike Satterlee, pastor of Church of the Nazarene, leads the pledge of allegiance during the National Day of Prayer ceremony at the courthouse.